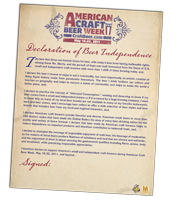 Six years ago, the Brewers Association created American Craft Beer Week to help celebrate and honour the small and independent craft breweries across the country. 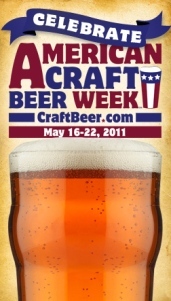 The number of craft breweries has now swelled to over 1,700 and for the first time ever, there are official ACBW events scheduled in all 50 states. For the Houston area, only Kreuz Creek Brewing has an official event on the calendar, but new events are being added daily. Interest in craft beer continues to increase, particularly in Texas where there are at least 10 breweries under contruction with another 21 that have announced their intentions (and there's probably a few more that I haven't heard about yet). You can show your support for the new and existing breweries and help celebrate ACBW by simply going out to a local beer bar and enjoying a few beers from any local craft brewery.